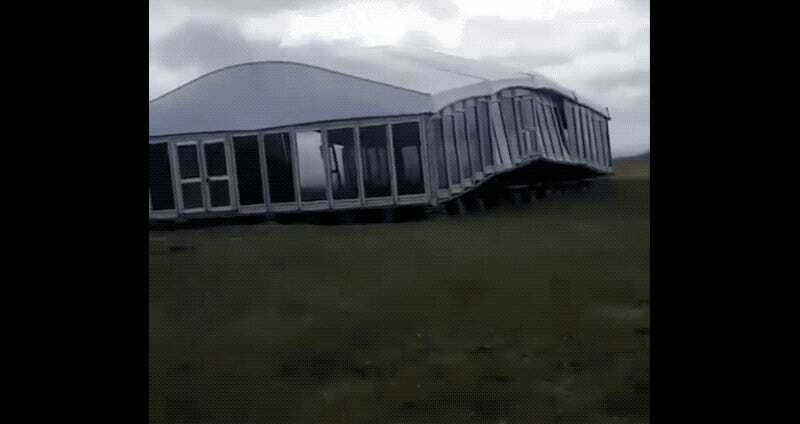 Scottish Golf Course, To U.S. Open's Windy Conditions: "Hold My Beer"
This video is a couple days old, but it shows the, um, windy conditions at Gullane Golf Club, scheduled venue of next month’s Scottish Open. Lotta wind going on here. Big wind. Huge, huge wind. This is some impressive oneupmanship from Gullane, after all the teeth-grinding going on about the brutal playing conditions at the U.S. Open at Shinnecock Hills, in New York. Rough cross winds, eh? I demand that the Scottish Open be played in these exact conditions.